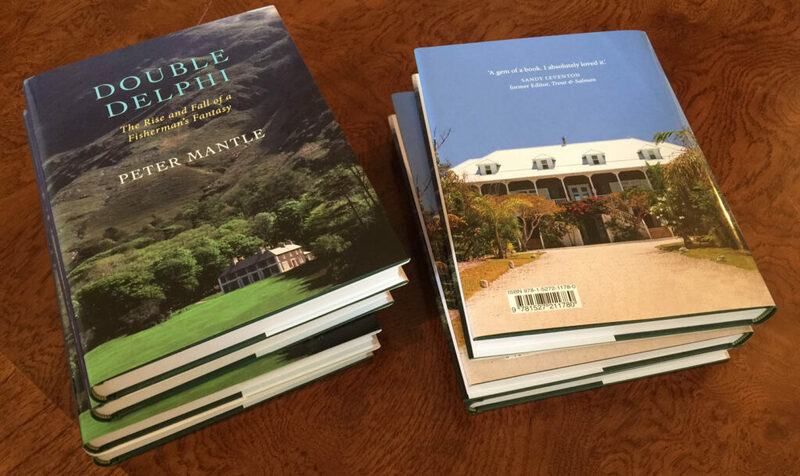 Double Delphi is the extraordinary story of Peter Mantle’s venture to create two world-class flyfishing lodges – in Ireland and in the Bahamas – in the face of massive challenges. Whether fighting off an attempt to mine Europe’s richest gold deposit on Delphi’s doorstep in Ireland, or taking on the Irish government and the salmon farming industry over their destruction of wild fish stocks, this is a saga of his battle for survival in two of the most beautiful wilderness areas known to man. 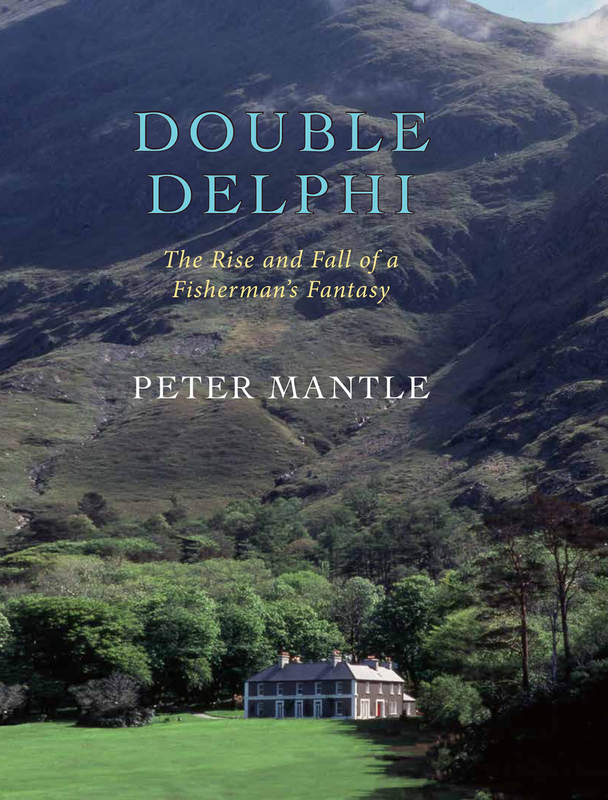 But Double Delphi is as much a tale about the amazing people encountered along the way – from Prince Charles, Desmond Tutu, Bernie Madoff, Daniel Day-Lewis, Martin McGuinness and an eclectic litany of other well-known names, to the many hundreds of ordinary fisherfolk and other visitors eager to share the dream. After twenty-five tumultuous years in Ireland, the focus switches to the Bahamas where Mantle built a stunning oceanfront lodge and faced more big challenges as he sought to crack the American fly-fishing market amid a collapsing world economy. Any fishing fanatic fantasising about running a lodge may think again after reading this book. Or they may, like Peter Mantle, feel the whole bumpy road was well worth travelling. This 255 page delight charts the trials, triumphs and tribulations of Peter Mantle and his family as they first establish and build up a world-class Atlantic salmon lodge and fishery in the west of Ireland – the eponymously named Delphi Lodge, only to ultimately find themselves in a pitched battle against their continental partners for control, and then to perhaps find some solace in a second exciting venture opening a grand bonefishing lodge in the Bahamas – the stunning Delphi Club on Abaco. Front cover showing Delphi Lodge and the back cover featuring the Delphi Club. Having only been personally familiar with the famed Delphi Lodge in the past via the regular reports in Trout and Salmon magazine and the occasional feature article in that and other magazines, to finally read the back-story to the history of how Peter Mantle came across the Delphi valley and fell in love with it, followed by growing and building the lodge, fishery and business was a real eye-opener. Not least due to the sad and traumatic fashion in which this particular love affair came to an end (the chapter titled “Blitzkrieg and Betrayal” hints at the drama involved), but also equally because of the obvious passion for the area and its history that is beautifully described and flows seamlessly off the pages and into the mind’s eye. The majority of the book covers the Delphi Lodge story and there is a literal wealth of fascinating and entertaining stories, some amazing larger-than-life personalities and of course the salmon fishing itself covered in depth, with each chapter painting a new picture of that part of the Mantle’s journey. There is a nice central section of photographs in the book too that show you some of the cast of characters, the lodge over the years and its fishing that helps bring everything alive even more so. During the often turbulent latter years at Delphi Lodge a new Mantle project was already underway that came to provide a welcome distraction at times I am sure, although it appears this also came with it’s own set of problems to overcome, albeit after some pretty nice scouting missions that any of us would have given our non-casting arms for. The Delphi Club on Abaco island in the Bahamas was named to provide a link back to the Irish property and it’s regular clientele in particular, as a marketing tool as much as anything else, but it seems to fit. Now an established player in the international destination fishing market, the challenges of originally building a luxury lodge on a remote part of a remote island, and now servicing and maintaining it as another cast of visitors come and go like the tide will, given time, I am sure provide much more entertaining fodder for perhaps a second book should the author have the inclination. We can only hope. 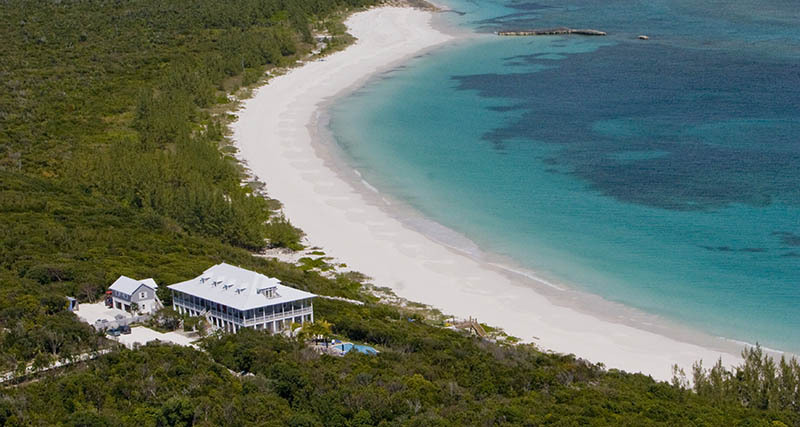 The Delphi Club in its stunning location on Abaco. Once in a while a book comes along that you just want to keep on reading. This for me anyway was Double Delphi by Peter Mantle. More than just another book about fishing, this is a true-life adventure that has you riding a rollercoaster of emotions along with the author and his family. Next article2018 already! Are you sure?